Occasionally backward and brooding, in 2012 this cuvée shows greater poise than can be the case, with a degree of tension and mineral notes to accompany the dark fruit, earthiness and sometimes black olive tapenade. The finish is long, the tannins are present but well integrated and the acidity is a driving force without altering the density of the fruit. The soils are made up of mica schist and loess, all on south-east facing slopes, with five distinct plots, one of which contributes 10 percent Viognier to the final assemblage. 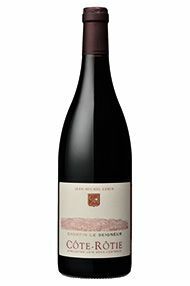 Élevage is divided between barriques (80 percent, half of which are new) and demi-muids (600- litre barrels); the wine has red-cherry charm, a spicy palate and an authoritative finish, the oak worn well but not to excess. This provides a great deal of bang for buck! Historically, the wines of Gerin are of a modern style, with big flavours and plenty of oak to create a robust Cote Rotie, but more definition and finesse is appearing with each vintage. This has power but elegance and poise also. 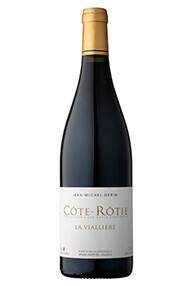 This, the Gerin’s largest cuvée of Côte-Rôtie, summed up perfectly all the best of the vintage with a gloriously plump, dark fruit nose followed by firm fruit. 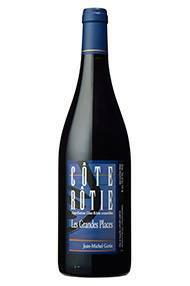 A very refreshing, classic Northern Rhône for all occasions. The reduction in the percentage of new barrique has been rewarded with more aromatic definition and greater purity en bouche. A blend from granitic Blonde and schistous Brune, with a single digit Viognier representation, this fantastic wine will age with ease for a decade and never fail to give pleasure. Try as one might, it is impossible not to like Jean-Michel Gerin. In the early days I was so persistent going up to him every year at Ampuis, requesting UK exclusivity, that his dead-pan ‘non’ became something of an in-joke. When ‘non’ turned to ‘oui’, five or six years ago, a very successful partnership was initiated. His sons Mickael and Alexei are now a key part of the operation. 2011 was phenolically mature by the end of the first week of September, so they picked relatively early, and everyone is very pleased with the results. 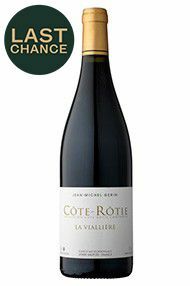 A classic Côte-Rôtie wine, assembled from fruit from both the Côte Blonde and Côte Brune, this is dangerously drinkable now, but will reward patience as it develops the classic smoky bacon aromas of great Côte Rôtie. 50% of new wood, albeit in the demi-muid dimension ( 600 ltrs) was used here, indicative of the fact that Jean Michel has not quite kicked the new wood habit, yet, as with all the best Côte Rôties, it is worn lightly with an almost cashmere nonchalance. Very finely grained tannins do not undermine in any way the purity of fruit or the integration of the whole. 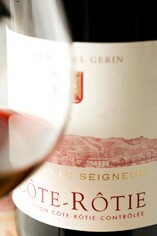 The 2010 is showing all the signs of equalling its predecessor, which we felt to be the best yet from the Gerin family. 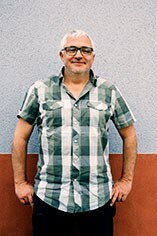 Jean Michel is one of the great characters of the Rhône Valley, a natural leader with a keen sense of humour and an almost Messianic zeal when it comes to promoting the wines of Côte Rôtie and ensuring that they take their rightful place at the High Table of the great wines of the world. And, as seems to be the case in a number of properties in the valley his children are now taking key roles with both Mikael and Alexei sharing their father’s philosophy. 2010, they believe, is every bit as good as 2009, the latter a vintage with more alcohol and less fruit and natural acidity. 2010 is the year of harmonious natural equilibrium and as a result its wines will last longer. A little down the hill from Les Grandes Places, the vines of La Viallière are younger and the soil is softer. 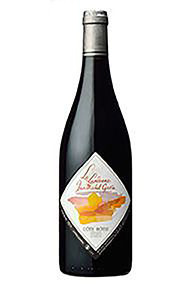 The resulting wine is aged in larger demi-muids, and is described by Mickael (le fils) as Bourgignon in style. I always detect notes of jambon cru and iodine beyond the dark fruit; it is, in other words, elegant and complex. Who could ask for more?